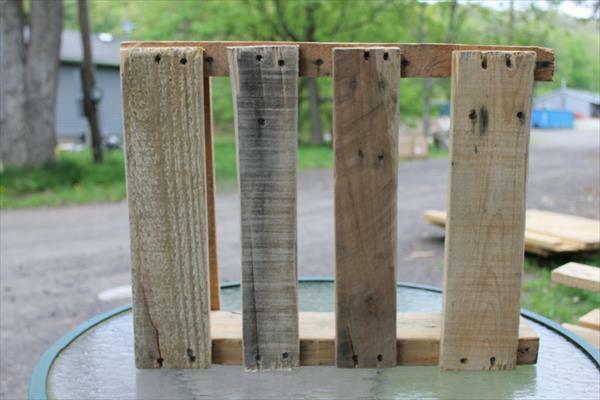 This is another favorable example of crumbled pallets which were left in form of bits and pieces after the DIY pallet projects. 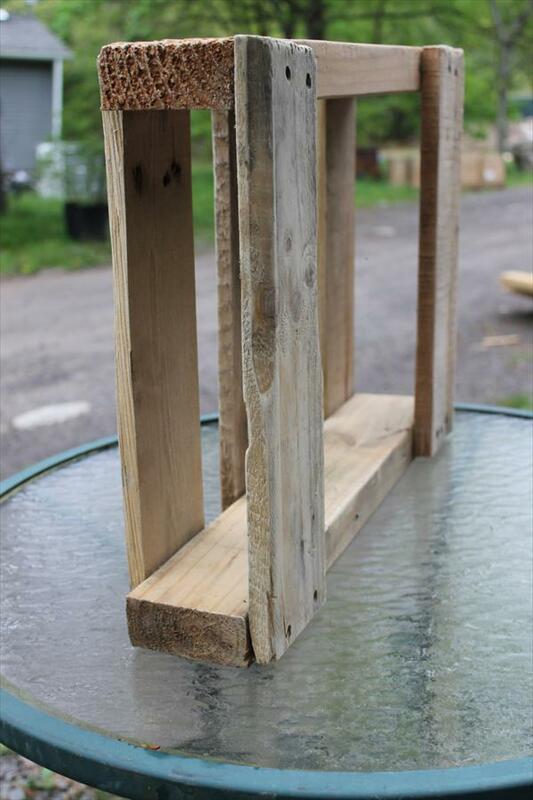 We aligned them together in a profitable shape and get this fine utility of DIY pallet rustic shelf for any home wall. Shelves not only give a perfect and charming display to many of domestic accessories but also provide a minimal spaced storage. 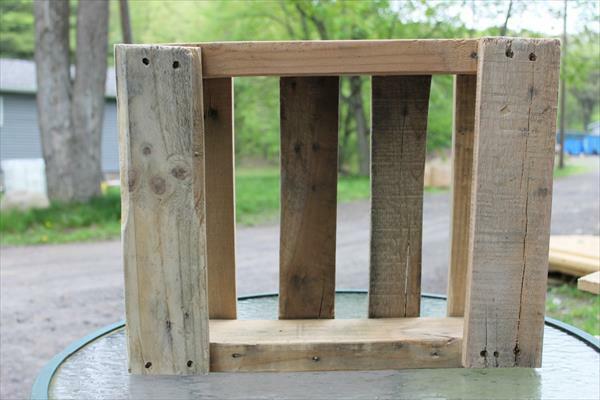 Get this rustic DIY pallet craft mounted on any wall for pictures and murals to get a sharp focus of them. 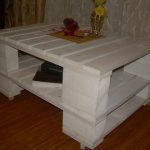 To achieve this from pallet wood remains is simple like ABC and can be handled by a single person without any hitch or trouble. 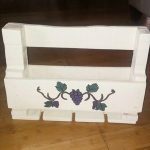 Throw some pastel shades of paint to make it an amusing DIY pallet wall art too which would be a remarkable compliment to whole room. 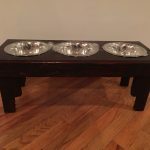 You can display some faux art patterns, some artistic toys, and whatever you want through this antique pallet shelf.